Wrapping and cards to make and give. 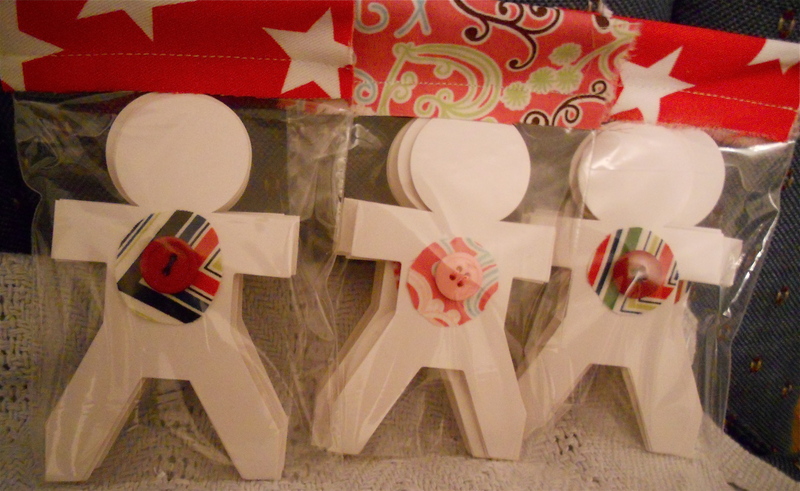 Furochic has video how-to's for many different shaped gifts. You can even buy the book on it. Image from Furochic. Make the perfect snowflake... with the help of kerliand animals. Image hers. Martha Stewarts tutorial for dying doilies for using in gift wrapping. Image hers. Yes Martha does it again! Muffin papers topping homemade jam. Image from martha stewart. 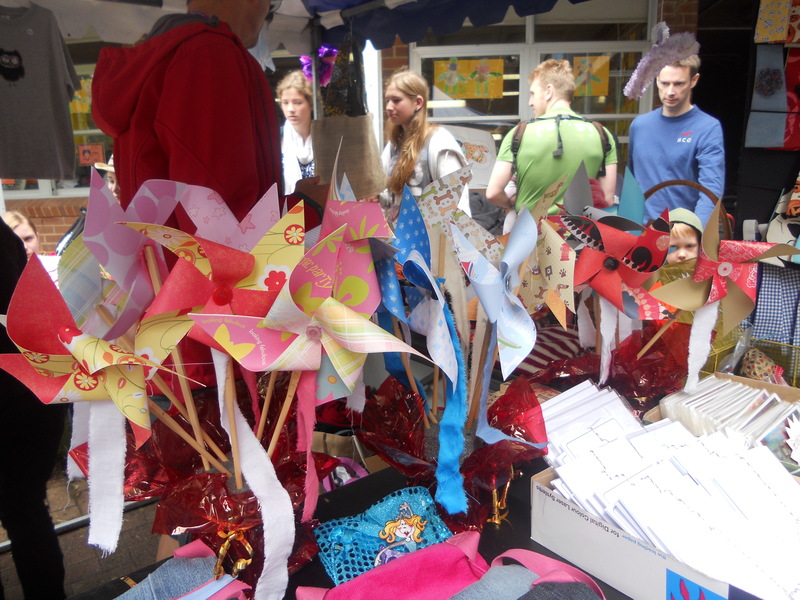 Beautiful and simple 'paperpoms'. Tutorial and download. Image from Nice package. Lino print Christmas cards to make. Tutorial and photo from Apartment Therapy. Lots of beautiful head pieces. A few of the pieces we made on location. 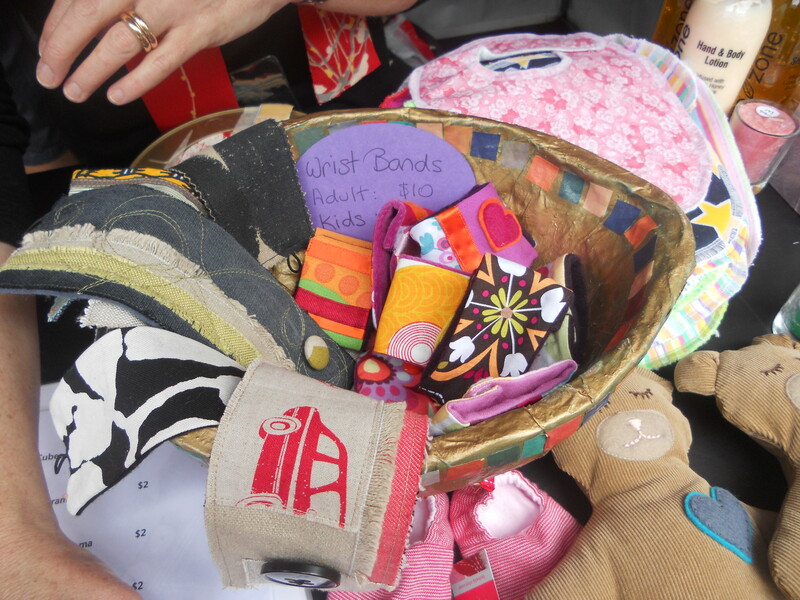 Gorgeous wristbands and corduroy bears. These are some of the shots I got before it bucketed down with rain. We ended up relocating the stall to the veranda outside the classrooms. 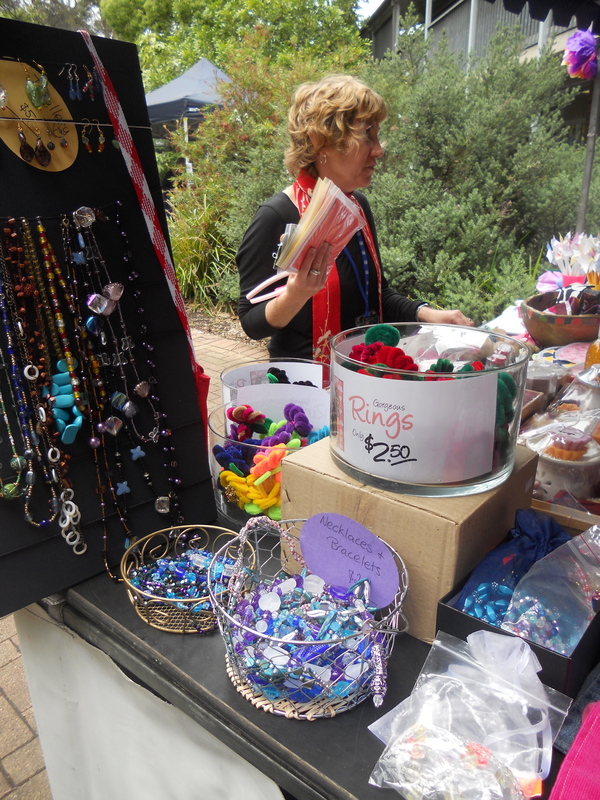 This way all the beautiful pieces were dry… and happy fete goes could shop without umbrellas. I don’t know the final figures for the day, (I’m not even sure if I would be allowed to publish them if I did) but we think it went really well. 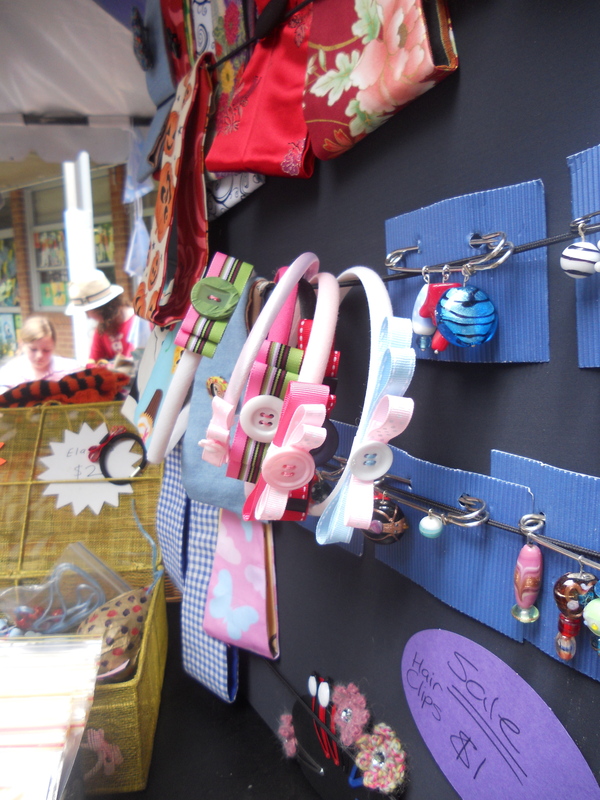 Thanks to all the crafty mummies who helped produce goodies for the stall. Your work was much appreciated. Cards in packets of 6. Last night , a few of us got together to create for the fete. Once again, they are super easy and inexpensive. Fabrics scraps… and buttons sewn on. 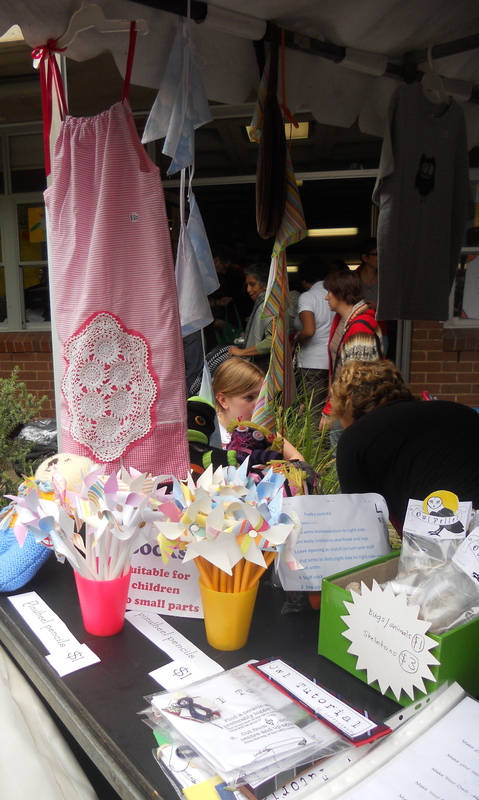 We are also planning to make some kits for the kids with fabric scraps and cardboard people to decorate themselves. 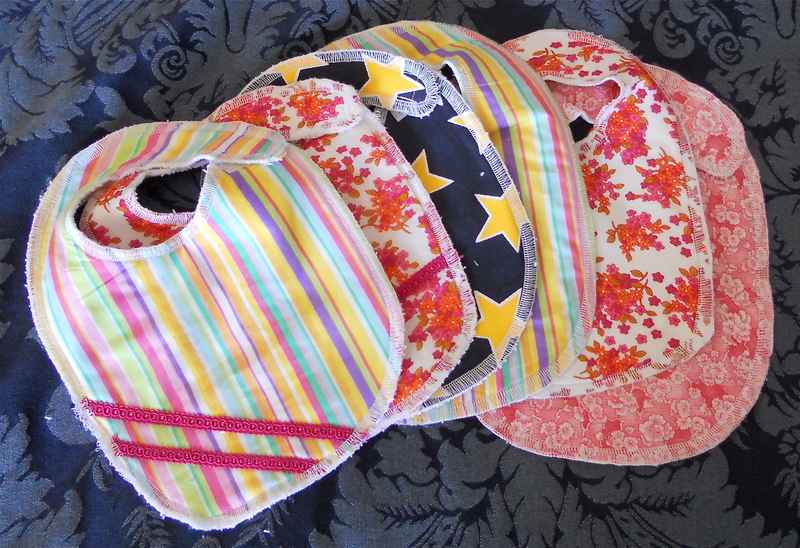 A few of the rather large collection of bibs Beth, Abbey and I have been putting together for the fete. I downloaded the pattern from Nested: Something to make . The pattern has a pocket, but we made them without the pocket. Between us, Beth and I have 10 children, and have never felt a need for a bib pocket. 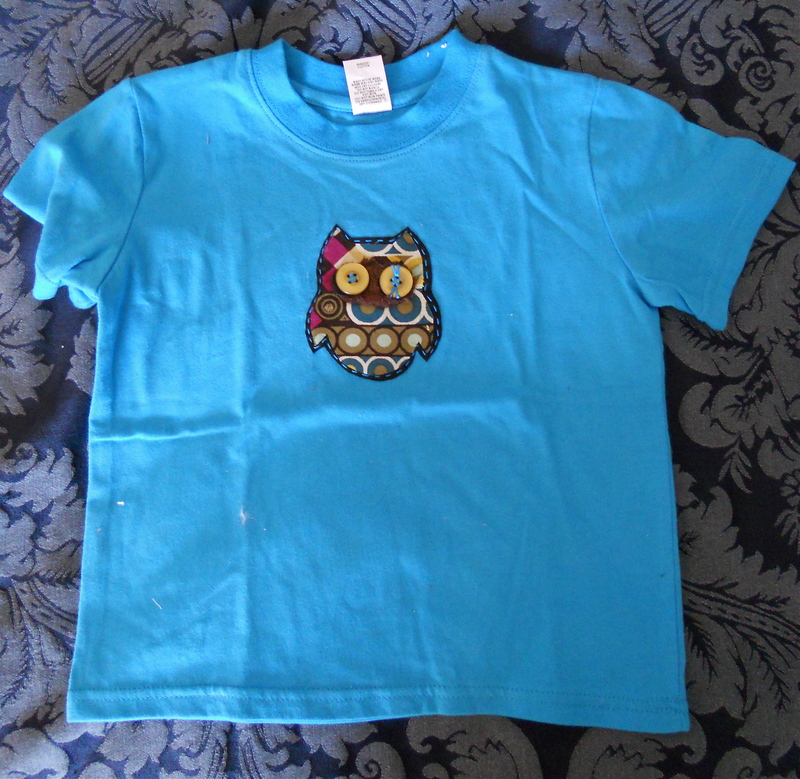 Last week Tilda, Belinda and I had a great time putting a pile of owl appliques together. I later put three of them onto t-shirts. One for me to wear on fete day, and these two to sell. 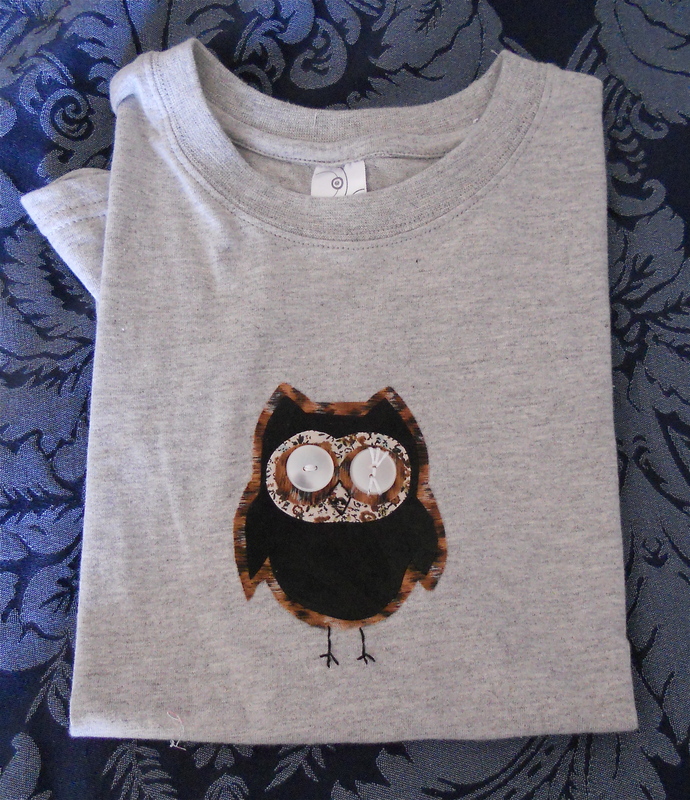 You may recognise the owls from my Christmas applique post . The pattern is original to Lil Blue Boo and is available to download. We changed it a little by not including the beak. This can be hand stitched on after the applique is on. 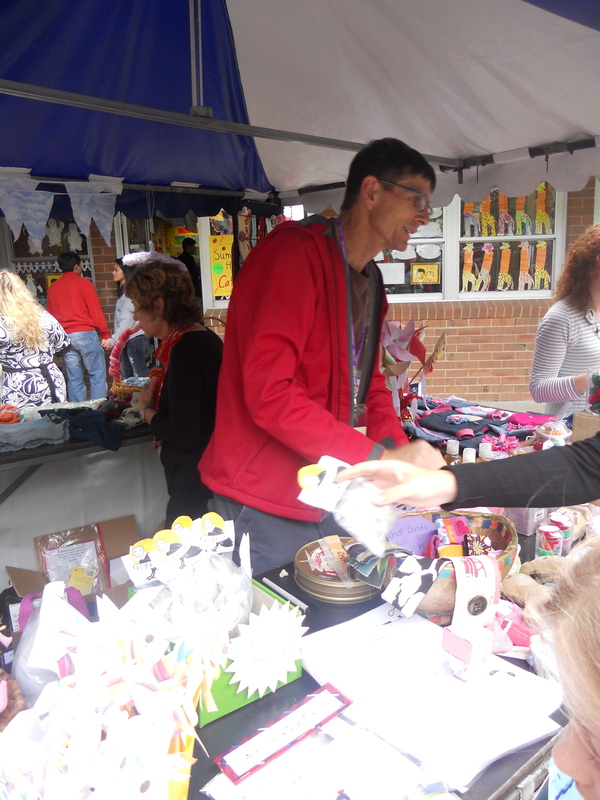 The fete is on the 6th of November from midday. If you are free I would love to see you. Email me for the other details.